If you’re going out for some cold water SUP adventures, then you’ll probably want to get yourself a good wetsuit. However, finding a suitable wetsuit isn’t that easy. The terminology, the types and the huge range of choices out there is enough to make your head spin. That’s why we’ve put together this resource – a one-stop-shop, all-inclusive guide to help you find the best sup wetsuit for your needs. There are quite a few reasons to get your hands on a proper wetsuit but the most important of which needs to be warmth. Primarily, wetsuits are optimal for cooler conditions because nobody wants to be in a tight steamy suit when it’s 40C° outside. So, in opposite circumstances, it would certainly be dangerous to go in freezing water without any protection. Speaking of which, wetsuits also offer protection since they are strong and often cover most of our bodies. Wetsuits will shelter you from the elements and that includes sharp rocks and stingy animals living in the water. Beside keeping you scratch free, the best paddle board wetsuit will also do a great job at reducing water resistance, allowing you to cut smoothly through water. The human skin may seem to be as smooth as it could be but unified slick layer reduces resistance to the maximum. Accordingly, with the added buoyancy, you are pretty much as close to a fish as possible and that is the cherry on top of the cake for paddle board wetsuits. You can choose to go without a wetsuit but you will definitely be disadvantaged. So, make the pick as soon as possible. Before we delve into the different types of wetsuits and the characteristics of each, let us answer a vital question: What is the best wetsuit for paddleboarding for you? The Wetsuit vest is basically a tank top that is designed to protect you from the sun and wind chill. This one is actually the best paddle board wetsuit for chilly paddlers or surfers during the summer. The suit ranges from 2mm or 3mm in thickness which is capable of keeping your vital organs and core relatively warmer than the water’s temperature. The wetsuit vest might seem a bit unnecessary but it is still great for those of you who want to enjoy a good summer day without the occasional shiver or simply for those of you who are not very proud of the tramp tattoo they got in college. The vest might allow more mobility and flexibility but the 1 to 2 mm wetsuit jacket is especially good for those who need proper warmth when paddling or surfing. A wetsuit jacket is similar to a vest. However, it has full length sleeves that offer additional warmth for the arms and upper body Indeed, the jacket might just be the best paddle board wetsuit for warmer climate as it will keep your core warm while the trapped layer of water in-between your torso and the interior layer of neoprene will heat up quickly. The jacket will definitely make it a little harder to paddle but it is rather necessary for cold weather and especially for people who can’t feel their legs. Nevertheless, it is strongly advisable to protect your legs as well especially if you are more prone to cramps. Beyond the fact that it looks a little silly, the short john is actually a pretty reliable paddle board wetsuit for chilly weather with the intent of getting unbearably hotter as the day goes on. The suit at hand will hence keep your torso and vital organs sheltered and warm as you enjoy the freedom of moving your limbs without resistance. If you are not comfortable with your thighs on display, you can always wear surfer shorts on top of the suit. You can always opt for the WWE Henry and take the straps down when the temperature gets hotter but try not to blind people with your extremely untanned torso. The best thing about the long john is that it covers almost your entire body except for your arms. With your arms now free from neoprene resistance, you can paddle and high five other surfers freely. The Long John is typically suggested as one of the best sup wetsuits for climates where air is significantly warmer than water temperature. Hence, the suit at hand will do a fine job at keeping your vital organs warmer and functional on a chilly Tuesday paddle / surf session. There is quite a bit of differences between the Springsuit and the long john. Indeed, the Springsuit is, as indicated by the name, great for spring paddling and surfing which explains the short legs. Otherwise, the suit at hand comes with full arm coverage and medium arm coverage, depending on how much you appreciate your forearms. However, freeing your forearms is still going to significantly free your motion especially for paddling. If you really don’t feel like waxing your legs then the Steamer is a great option for you. Obviously designed for cooler weather, the short arm steamer is a suit that will keep your body warmer regardless of the elements outside as it often comes in 2 to 3 mm in thickness. The Short arms are also a pro since it’ll enable you to paddle freely with no neoprene resistance. Hence, as long as you don’t get a couple sizes too small or you make a purchase post thanks giving dinner, you’ll have yourself a favorite wetsuit. The full arm steamer is the type of wetsuit you usually see in movies and that is because it is the best wetsuit for paddleboarding in cold weather. When the elements are trying to kill you and you still feel like a light paddle session then you must be fully covered to keep the blood flowing through your limbs and allow your internal organs to function properly. It is important to note that you should not remain in the water for too long in cool temperatures no matter the suit you’re wearing because even the best paddle board wetsuit can only protect you for so long. 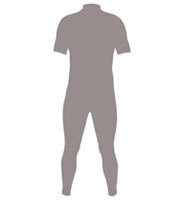 However, the thickness of the suit will significantly influence the duration. Accordingly, the long arm steamer comes in 2 to 3 mm in thickness for a Californian winter and all the way to 6 mm for any spring or winter in the northern hemisphere. All in all, the long arm steamer is a great paddle board wetsuit for cold environments but it still requires certain accessories that will help you stay in the water for even longer periods of times. Which is The Best for Your SUP Board Needs? If you’re into paddle boarding but often feel compelled to drop it because of weather then you are meant to have a wetsuit but which one? Well, if you ask any expert, they’d tell you that the best sup wetsuit is anything that doesn’t hinder arm movements since you would need flexibility in your arms to keep paddling constantly. However, that completely depends on the weather. As paddlers, our best suggestion for you is to go with a suit that leaves your forearms exposed for easier motion but any decision beyond that depends on you and your environment’s temperature. Before we dive in any deeper, we must first clarify something very important and that is the answer to the question: What are wetsuits made of? Well, simply, even the best wetsuit for paddleboarding is primarily made of neoprene, which is one of the strongest stretchable rubber compounds. Hence, the paddle board wetsuit isn’t really water proof as it is designed to enable our bodies to breathe. So, How does it keep our bodies warm? Well, wetsuits actually trap a thin layer of water between your skin and the neoprene which warms up quickly because of our body temperature and that will keep your limbs and vital organs in check even in the coldest temps. Most wetsuits are a darker shade and closer to black than anything else but there are some exceptions. However, what is even more common is that most wetsuits come with a zipper on the back for without it, good luck trying to get in or get out of a tight stretchy suit. First things first, the best paddle board wetsuit starts at 1 mm thick which is pretty much a vest because it is often optional. Indeed, unless you’re a chilly billy then you most likely won’t feel much of a difference to temperature with such a thin layer of neoprene on. However, if the temperature remains above 23° C, this type of suit offers solid protection from the sun and chilly winds. Moving to 2 mm, things begin to get a little more serious as the shorties and springsuits offer decent protection from the elements in temperatures that do not go below 18° C. A couple more accessories are also recommended to keep your body temperature even in these circumstances but the suit itself will do a fine job keeping you alive. 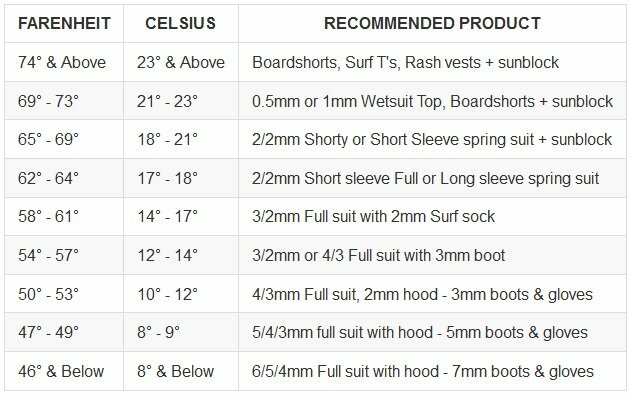 If you really love surfing or paddling enough to go for it in 14° C or under then you must start considering full body suits or the long arm steamer. However, even at that point, you are still required to go for a suit that is 2 to properly 3 mm thick in order to keep your body at even temperatures. If you are still persistent and you really want to go for it although everything around you is trying to stop you then you should go for a 4 mm thick full suit in temperatures below 12° C. PS: proper accessories are also highly recommended. If you’re desperately looking for ice treasure and at this point you just don’t care about your body then you should probably consider a 5 to 6 mm full paddle board wetsuit before you even expose your body to the breeze. This type of suits is pretty reliable even at temperatures bordering 8° C. Nonetheless, you are still required to cope that up with proper heating accessories especially around the limbs. 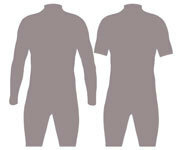 Wetsuits are designed in a two dimensional manner (width and length) to make this whole sizing thing easier for us. 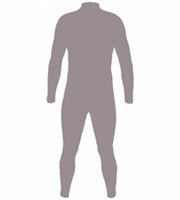 Hence, you might notice that most wetsuits are significantly tight. What you need to keep in mind when making your purchase is that width doesn’t apply as much as you would imagine and length will always determine the suit you’ll go for. Hence, in the length spectrum, you’re given standard options such as small, medium and large which are surprisingly parallel to your standard clothing size. The amount of accessories you’ll need to add on to your swimsuit is going to highly depend on the temperature you’re going for. Hence, the cooler the temperature, the more accessories you’ll need to keep you body temperature above freezing. First things first, our limbs generally suffer far more than our torso in cold temperatures because they are further away from our core and the warmth it provides. Hence, our feet are a priority in cold weather. Therefore, when temperatures start to average 20° C then you are required to get yourself a pair of wetsuit ‘booties’ whose thickness will also depend on the temperature as indicated previously in the article. Beyond that, wetsuit boots are actually a lot more practical as they often come with resilient soles to protect your feet from sea urchins and coral. The boots range between 1 to 7 mm in thickness an come in split toe as well for preference. Secondary to our feet come the hands, which are equally as important of a limb, and one which you want to protect in cooler temperatures. So, if you appreciate your hands then you’ll surely invest in a pair of wetsuit gloves that will keep the blood flow consistent and actually protect your hands from any elements you might face out there. Like the boots, the gloves also come in a variety of designs such as the 3 fingers or the mittens which are often recommended for colder temperature to keep your hand as warm as possible by not separating the fingers. However, that will all depend on your requirements. Sometimes attached to wetsuits, Wetsuit caps and hoods are indeed vital because although our head doesn’t catch cold as quickly as the rest of our body does, it is still the vessel of our most vital organ and an entry point for chill. So, to complete the whole armor, which is strongly advised in temperatures below 14° C, you want to get yourself proper head protection. The process of getting in or out of a wetsuit has got to be the most generic complaint of surfers and paddlers yet it doesn’t have to be that hard. Wetsuits can be torn by applying unnecessary force. Therefore, it is advised to remove any kind of jewellery or sharp objects before you proceed to wearing yours. Hence, you can start by rolling the suit down and starting at your feet then going up to the wait. 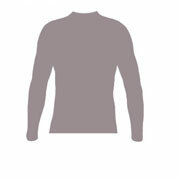 From there, you can start fitting your arms in nicely and finish it up by pulling up the back or front zipper. When trying to get out of the suit, proceed to do so gently and try be seated when doing so to reduce your stress and anxiety. The first thing you can do to keep your suit clean is to always give it a quick rinse in tap water after taking it off. If not available at that moment, then give it a quick rinse at the beach and then rinse it in standard tap water as soon as possible to reduce the corrosion of salt water. 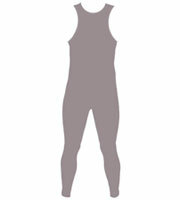 Salty or hot water can damage the neoprene suit, which is why it is advised to keep the suit away from washing machines. Wetsuits can get smelly but even then it is advised to get your hands on proper shampoo and cleaning agents to get rid of the wax and overall decomposed skin tissue. After cleaning the suit properly, you might want to let it dry a bit before packing it somewhere dark. However, it is advisable not to dry it out in direct sun light. Also, flipping it inside out is just as important. The best thing you could do is to hang your wetsuit up and preferably on a plastic or non-metallic hanger to preserve it properly.